Terror organization behind the PA blames failed US peace plans for UN bid, says date to 'end occupation' to be submitted this month. The Palestinian Authority will submit a draft resolution to the UN Security Council later this month calling for an end date for "Israeli occupation," a senior official said on Tuesday. The text, which the PA has been preparing for weeks, is expected to be vetoed by permanent member the United States. But officials in Ramallah have said that will not deter them after round upon round of failed peace talks with Israel. 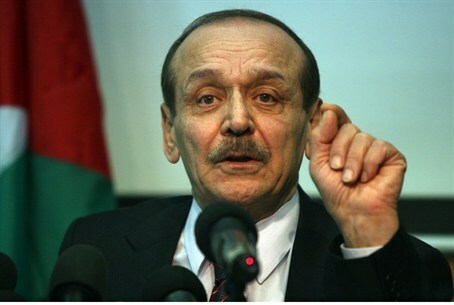 "No other solution has been proposed by the United States" to achieve peace and the establishment of a Palestinian state, senior Palestine Liberation Organization (PLO) official Wassel Abu Yusef told AFP. "The US administration is pushing to resume bilateral negotiations, even while it's clear that these have failed throughout the last few years." The PA has been under intense pressure not to push forward with the Security Council resolution - including with alleged threats of cuts to US aid. In response, chief negotiator Saeb Erekat declared several weeks ago that if the United States vetoed the PA’s UN resolution for a timetable to “end the Israeli occupation,” the PA would apply for membership to 522 international organizations and statutes - in violation of previous treaties with Israel. Erekat said in a statement quoted by the Ma’an news agency that the PA should also seek recognition by EU countries, especially after the new Swedish prime minister's announcement that his country would recognize “Palestine” and the British parliament's symbolic vote to do the same. "We have nothing to lose except loss itself," Erekat said in the statement. In recent weeks, PA Chairman Mahmoud Abbas has been promoting a unilateral move in the form of a UN Security Council resolution that will call for Israel to “end the occupation” (i.e. withdraw from Judea and Samaria) by November of 2016, thus setting the stage for the founding of a Palestinian state. But while PLO secretary general Yasser Abed Rabbo had said last month that the text would be submitted by the end of October, that target date has since passed.